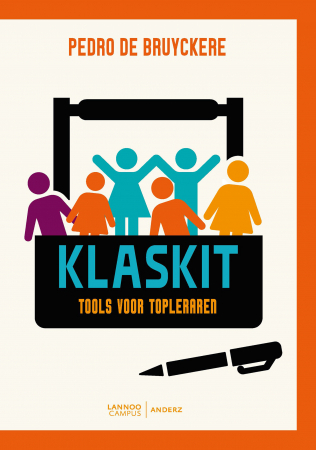 Wat is de link tussen onderwijs en depressie? (Education indicators in Focus) | X, Y of Einstein? Er zijn meer dan 300 miljoen mensen die lijden onder een depressie wereldwijd, reden genoeg voor de OESO om in een nieuwe Education indicators in Focus stil te staan bij de relatie tussen onderwijs en depressie. People with higher educational attainment are less likely to report depression than those with lower education attainment. Women are more likely to report having depression than men at all levels of educational attainment, but their share decreases more steeply as their educational attainment increases than it does for men. Those who are employed report lower levels of depression than those who are not, but regardless of employment status, higher education is associated with a lower prevalence of self-reported depression. 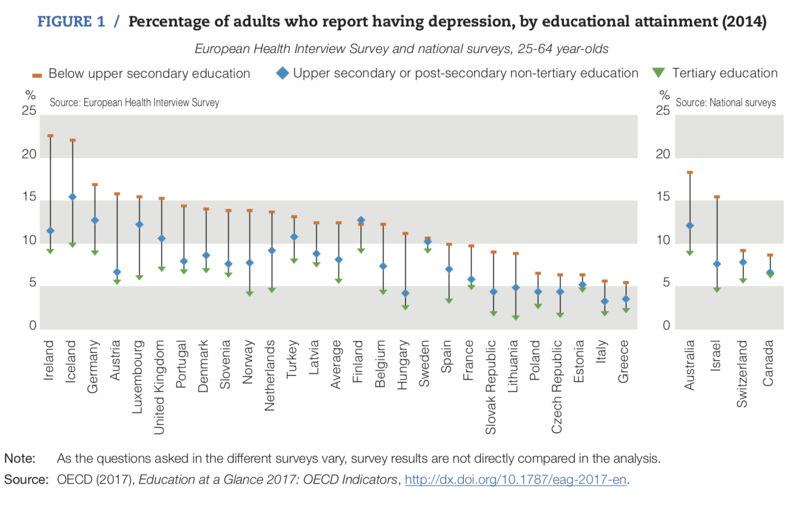 People with higher levels of education report less prevalence of depression in all OECD countries with data. A greater share of women than men report suffering from depression, but the share decreases more steeply for women than for men as educational attainment increases. Employment is associated with a lower share of self-reported depression, especially among low-educated adults. Given that mental illness has its onset in childhood or adolescence, these findings highlight the important role education systems play in ensuring students complete their education and successfully transition into the workplace.